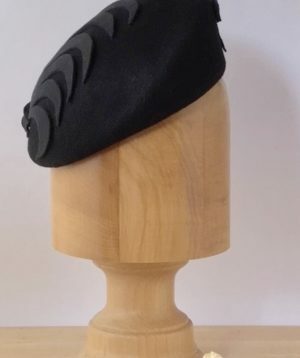 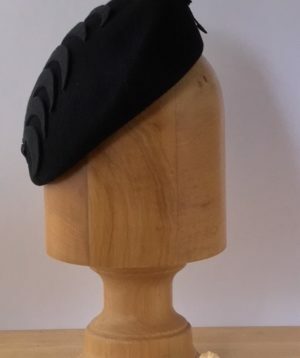 Easy to wear black felt soft form pillar box. 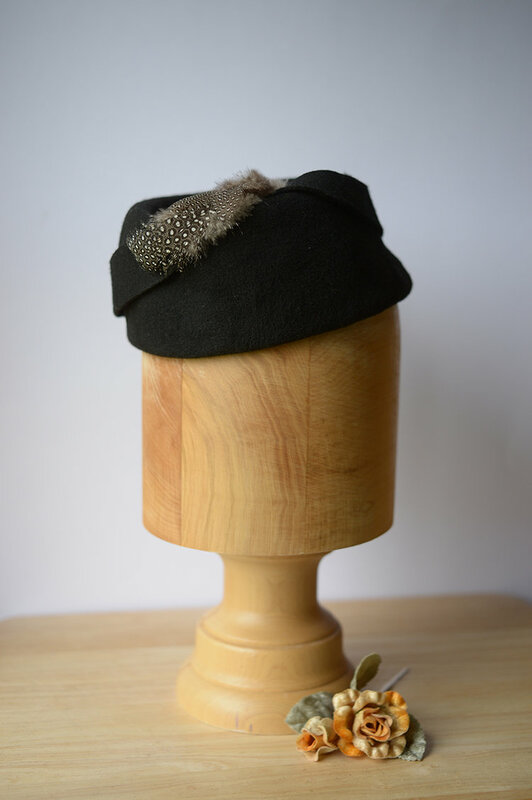 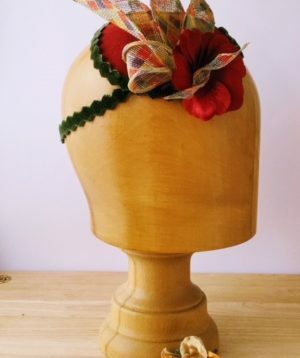 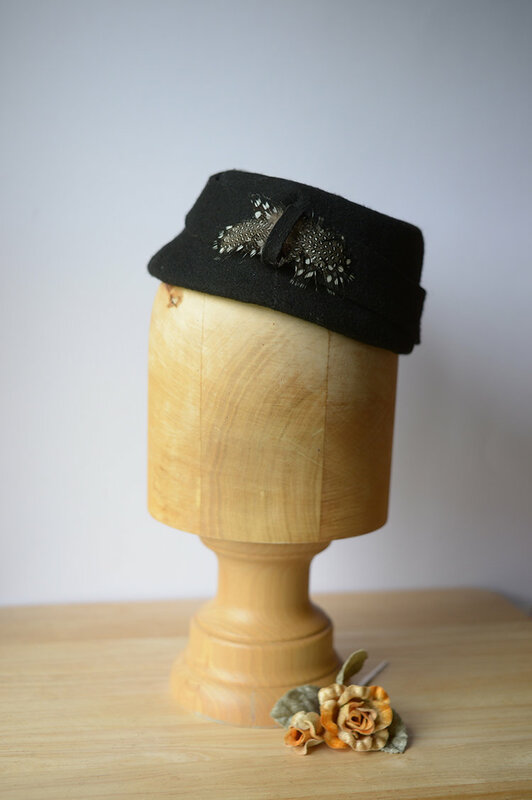 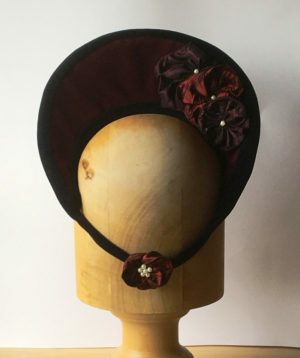 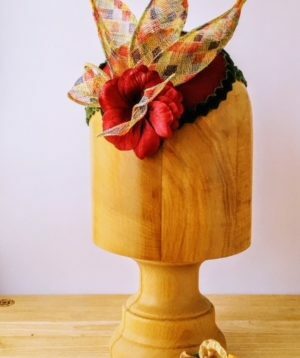 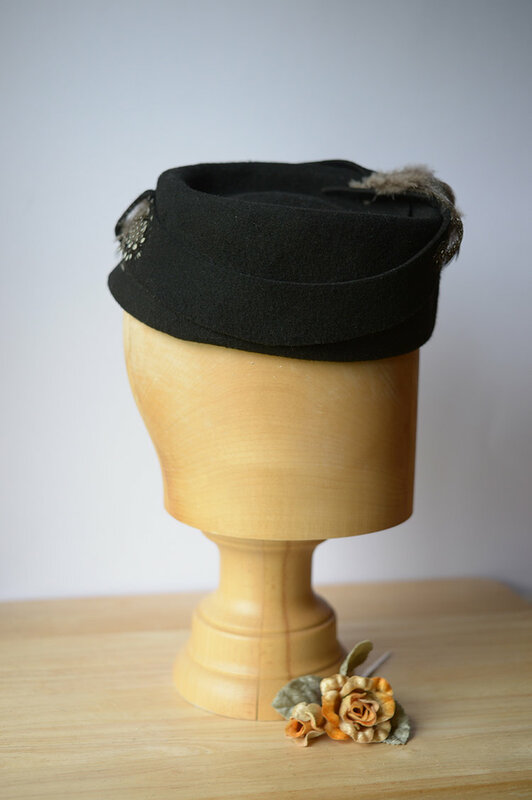 This little hat is adorned with a soft feather to the front right hand side and finished with more feathers at the rear of the hat. 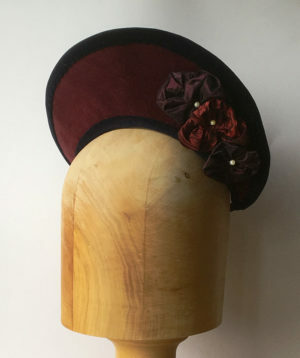 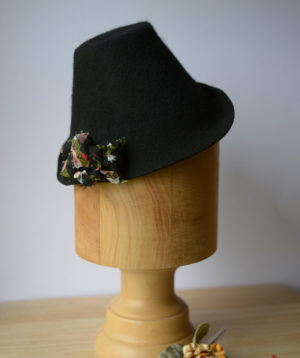 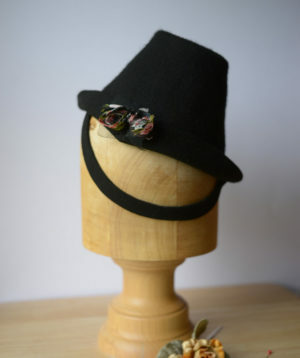 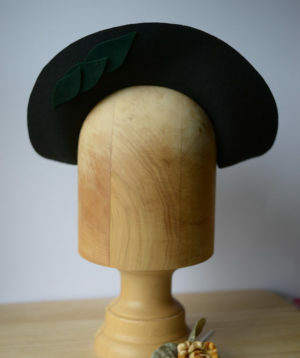 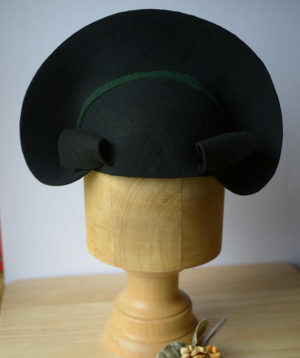 The hat also has a raised curved band attached around the brim to add a touch more interest.